Jewell James and the Lummi House of Tears carvers have created a totem pole Kwel’hoy (“We Draw the Line”) and are travelling with it in a journey of blessing across the west. Please join the Lummi Tribe at Kwel’hoy ceremonies for offering prayers of protection for sacred lands, sacred waters, and treaty rights of Native peoples. 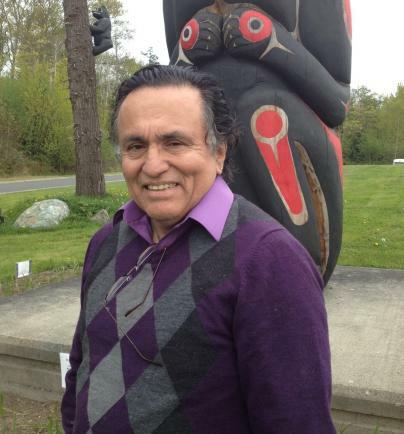 Jewell James is a longtime leader of the Lummi Tribe. This entry was posted in Make No Bones Shows and tagged Cherry Point, Jewel James on "Make No Bones About It. ", KAOS 89.3 FM, No Coal Trains. Bookmark the permalink.